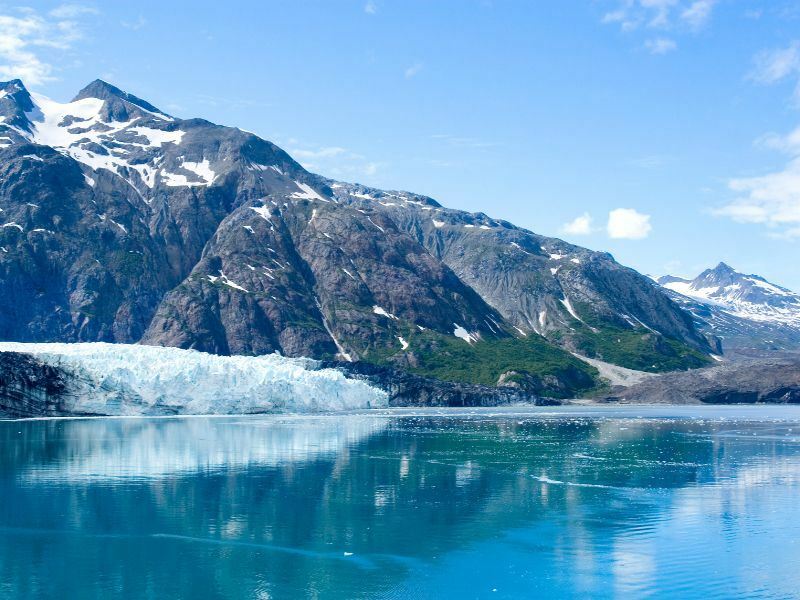 Coastal Alaska, with its mesmerising bays, glaciers and fjords, provides a memorable landscape for a cruise, whilst the incredible mountain ranges and crystal blue lakes of Western Canada offer the perfect backdrop for a luxury rail journey. It’s hard to choose just one of these scenic routes - so why not combine the best of both in one epic adventure? From cruising through the Alaskan waterways and exploring the urban and natural delights of Vancouver, to setting out on an epic rail exploration through the majestic Canadian Rocky Mountains, we’ve compiled a list of the not-to-be missed sights and experiences that you’ll want to incorporate into any Alaskan cruise and Canadian rail adventure. This renowned sea passage; stretching from south-eastern Alaska and winding through British Columbia to Washington State in the U.S., is home to some of the world’s most stunning landscapes. From dense rainforest and snow-capped peaks, to rugged glacial terrain and an immense collection of picturesque bays and islands, there are plenty of breath-taking moments along this passage. Admire it all from the comfort of your ship’s deck, noting how the landscape gradually shifts as you pass to or from the warmer climate of the Pacific North West, and being sure to keep an eye out for whales, sea lions and a fantastic array of birdlife. 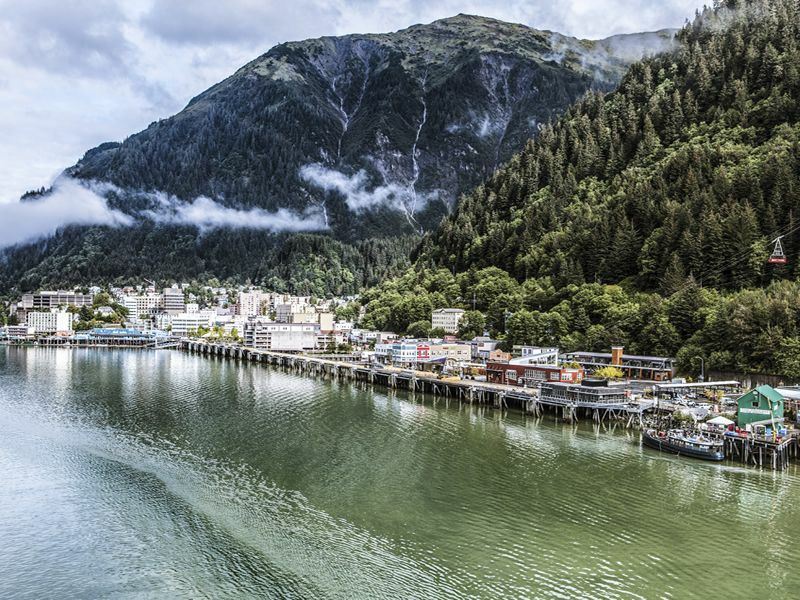 Located on the shores of the Tongass Narrows, this friendly, laid-back town - known as the “Salmon Capital of the World” - boasts a mesmerising backdrop of steep granite cliffs laced with waterfalls and deep water fjords carved out by retreating glaciers. The town itself is the ancestral home of Alaska’s Tlingit Indians and houses the world’s largest collection of totem poles. Be sure to pay a visit to the Totem Heritage Centre to view authentic Native totem poles preserved in an inspiring rare collection. 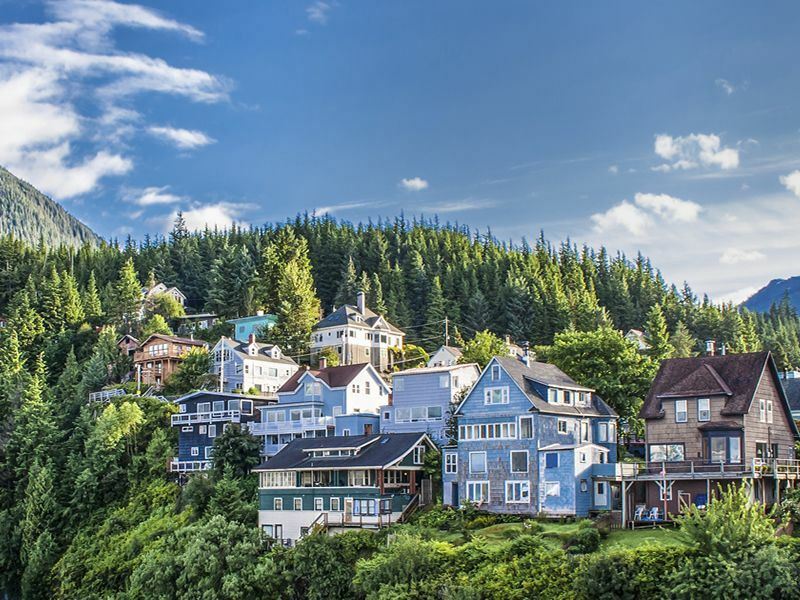 Then stroll along historic Creek Street, reminiscent of the gold-rush days, to marvel at the myriad of colourful houses perched on stilts over the water. For those with a little more time to spare, Ketchikan is a superb base for several exhilarating excursions. There’s the opportunity to take a seaplane excursion over the Misty Fjords National monument, a staggering expanse of pristine wilderness extending over 2 million acres. Alternatively, try your hand at zip-lining through the area’s rainforest canopy, where tree platforms and sky bridges offer good chances of wildlife sightings. 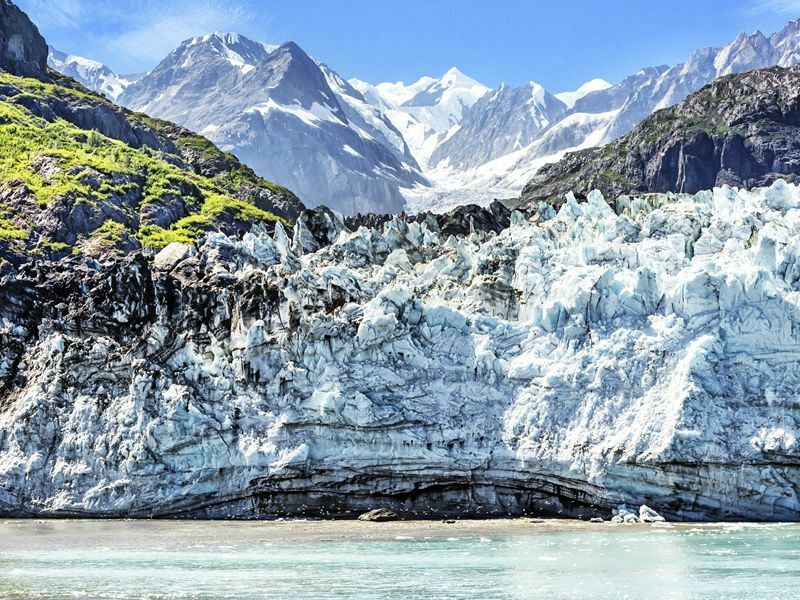 Alaska’s capital is an appealing blend of rugged wilderness and contemporary city vibes. Surrounded on all sides by glaciers and mountain peaks, it’s only accessible by water and air, whilst its relatively small size makes it easy to navigate and explore on foot. There are plenty of worthwhile cultural museums, historic buildings and cosy cafes to explore, but the city is particularly suited to outdoor enthusiasts. 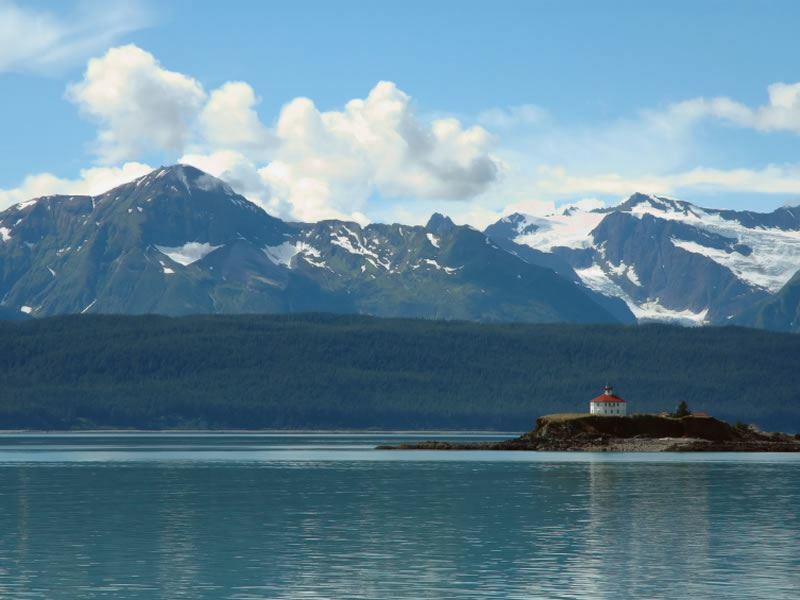 Opportunities for eco adventures abound, including hiking, fishing, kayaking and whale watching, as well as excursions to the nearby luscious Tongass National Forest. There’s also the chance to witness the famed drive-in Mendenhall Glacier, which is particularly spectacular when viewed via a helicopter tour. Get a blast from the past in the historic town of Skagway and its surrounding gold rush country. This area is home to the remarkably well-preserved Klondike Gold Rush National Historic Park as well as the gateway to the Trail of ’98. Discover the numerous quaint stores and bars, false-fronted buildings and wooden boardwalks of the town, as well as the spectacular surrounding lake, forest and mountain landscapes. To explore a little further afield, follow in the footsteps of the nineteenth century gold prospectors, and take the narrow-gauge White Pass & Yukon Route railway up into the dramatic mountains. 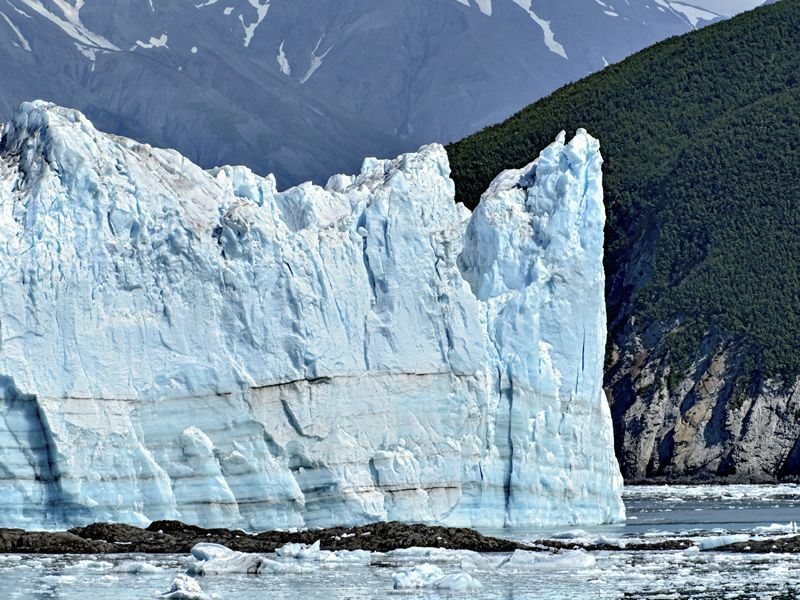 This UNESCO World Heritage listed 65-mile-long fjord has more actively carving tidewater glaciers than anywhere else on the planet. Journey through this inspiring and beautiful landscape, witness the unique ecosystem of plants and wildlife that surround you on all sides and be sure to listen out for the sound of ice splitting and crashing into the sea, shooting water hundreds of feet up into the air upon impact. This isolated settlement lies on Chichagof island at the mouth of Glacier Bay. 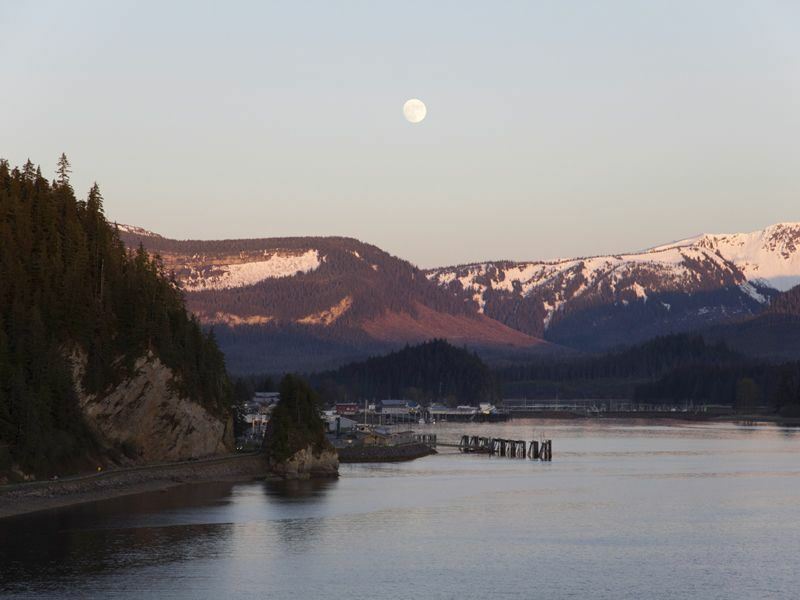 It’s a great place to learn about the fascinating Alaskan history and witness first-hand the ancient traditions of the indigenous Tlingit culture. There’s also some amazing wildlife viewing opportunities, including the chance to take boat trips to view whales and hiking excursions to spot brown bears and explore the wild Tongass environs. Marvel at the largest tidewater glacier in North America, which reaches 40-storeys and also happens to be one of the world’s most active. Massive icebergs are carved almost continuously into the ocean during the summer, creating a sensational experience not to be missed. Rocky Mountaineer railway tours always include a stop in Banff, and for good reason. This bustling resort town is framed by a beautiful backdrop of snow-capped peaks and is the perfect base for launching an exploration into the world-famous Banff National Park. This slice of Canadian wilderness is an unparalleled outdoor playground filled with spectacular mountain scenery and year-round opportunities to experience it all through an endless string of adventure activities. Within the town itself, be sure to explore the boutiques, restaurants and art galleries along lively Banff Avenue. Ride the Banff gondola to the top of Sulphur Mountain and behold a breath-taking bird’s eye view spanning six mountain ranges. Rail sightseeing tours around Banff include stops at Lake Minnewanka, Bow Falls, the Hoodoos and Surprise Corner. 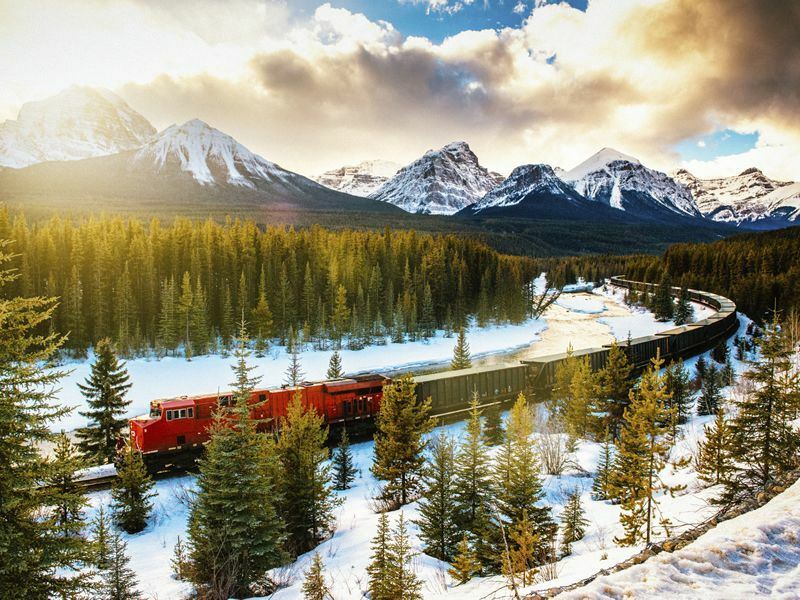 Another highlight of any Western Canadian rail tour, is the town of Jasper and its surrounding natural wonders. This area is renowned for its rugged backcountry, fantastic hiking and biking trails, alluring history and excellent wildlife viewing opportunities, including bears, elk and caribou. 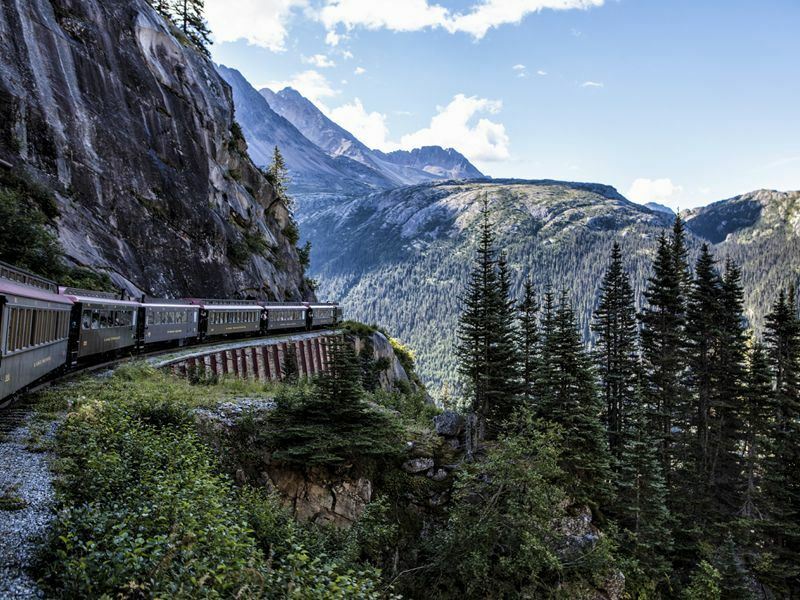 By train, you’ll have the chance to take in the very best of Jasper National Park in comfort and style. The not-to-be missed Icefields Parkway is one of the most impressive scenic highways in North America, replete with jagged snow-capped peaks, teal-streaked lakes, foaming waterfalls and colossal glaciers. 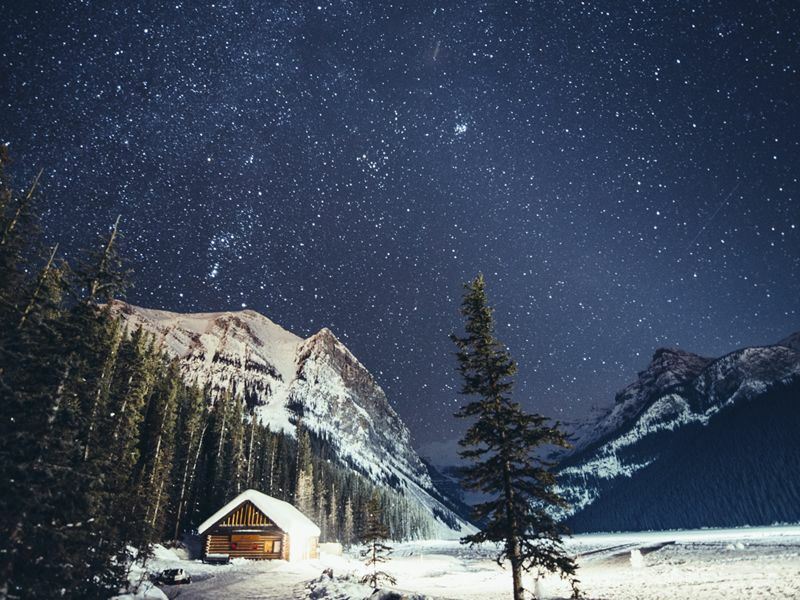 This area is home to the Columbia Icefield, a 4,300 square mile area of protected ecosystem, which also happens to be a Dark Sky Reserve and fantastic location to see the Northern Lights. 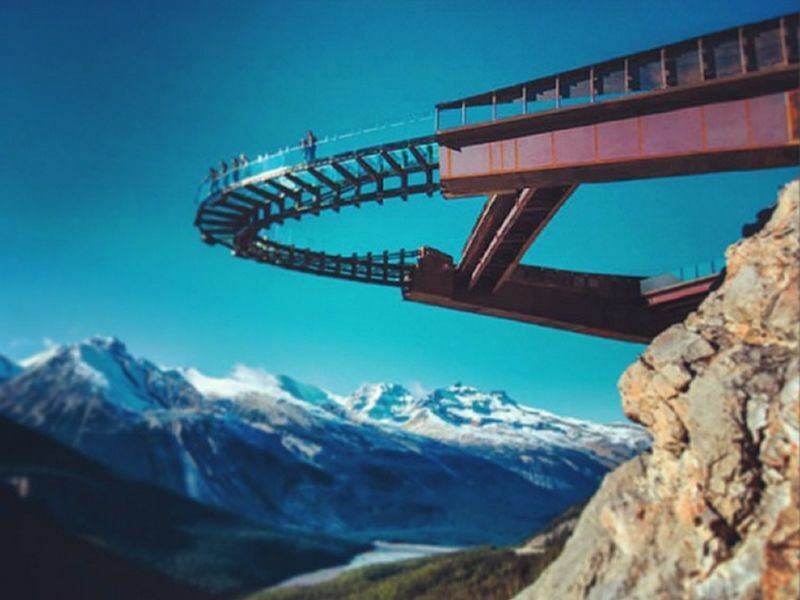 Pay a visit to the Glacier Skywalk (a 400m boardwalk and glass-floored observation platform extending out over the spectacular Sunwapta Valley), and be sure to board the Brewster Ice Explorer which travels onto the slopes of the dazzling Athabasca Glacier. 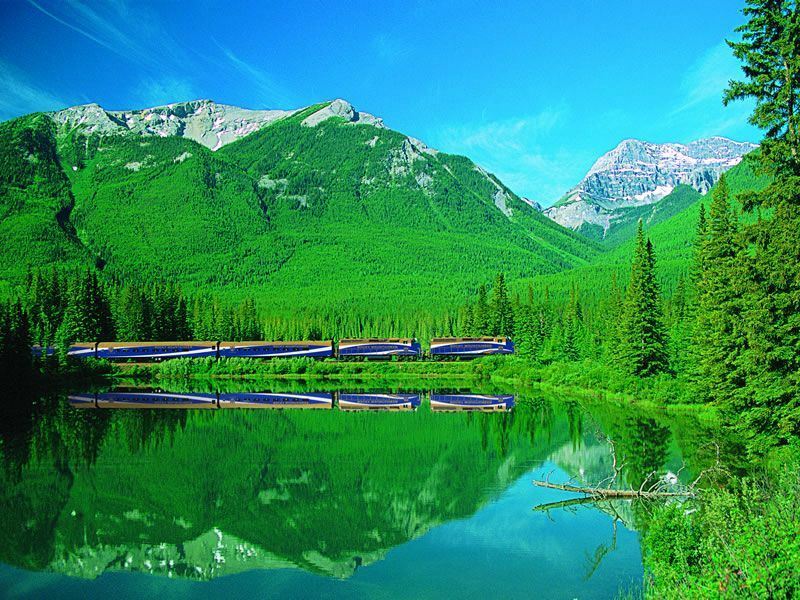 This legendary emerald-tinted lake is a highly popular stop on most Canadian Rocky rail journeys. It’s the perfect location to sample a range of adrenaline-pumping activities, including hiking, biking, canoeing, horse-riding and some superb skiing in winter. Afterwards, treat yourself to a stay in one of the sumptuous rooms at the world-famous Fairmont Chateau Lake Louise situated right on the lakeshore. Wind your way through the diverse interior of British Columbia on the famed Rocky Mountaineer railway, passing landscapes littered with everything from canyons, glaciers and sparkling streams, to pretty green valleys, forests and dramatic mountain scenery. Traverse the Monashee, Cariboo and Kamloops mountain ranges and marvel at the natural wonders of the Thompson River and Fraser Canyon. At either end of your rail tour, take the chance to explore these two thrilling Canadian metropolises. In Calgary, ride up the city’s tower for breath-taking views of the downtown area and surrounding ranch lands. You may also want to time your visit to coincide with the Calgary Stampede Extravaganza, a rip-roaring celebration featuring the world’s largest rodeo and a host of outdoor festivities. 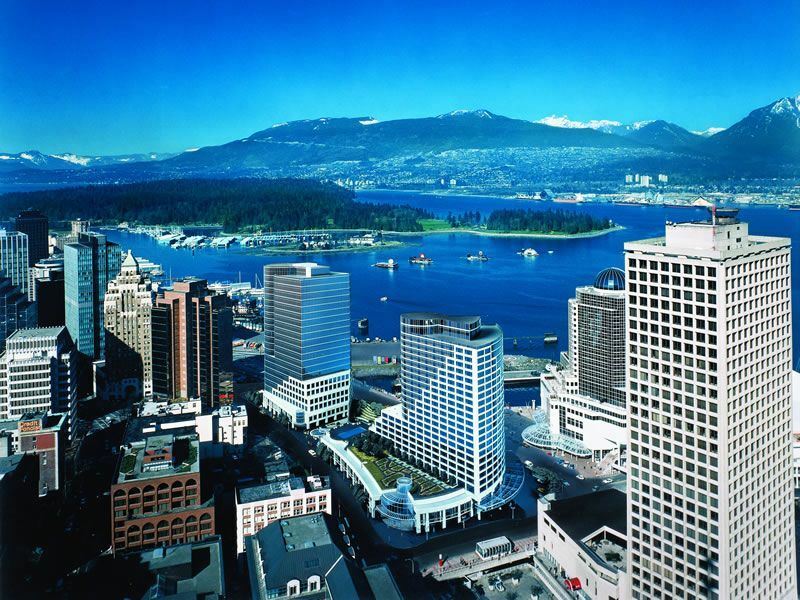 Meanwhile, cosmopolitan Vancouver has enough thrills to occupy the most dedicated of urbanites, with world-class culinary, arts and entertainment scenes. Nature lovers will also feel at home, with abundant opportunities to explore forest trails, kayaking routes, urban parks and sandy beaches right within the city itself. All of the destinations and experiences we’ve listed here form integral parts of many Alaskan cruise and Canadian rail journeys, or else can easily be added to your itinerary to extend your adventure. We suggest checking out the Canadian Rockies Experience & Silversea Alaskan Cruise, the Western Explorer & Alaskan Cruise and the Rocky Mountaineer Rail & Celebrity Alaskan Cruise.